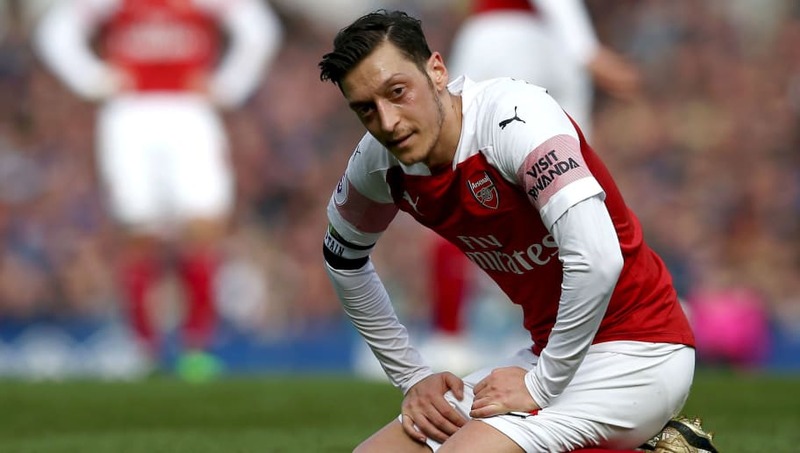 ​Mesut Ozil vented his frustrations during Arsenal's 1-0 defeat to Everton on Sunday by throwing his coat at Everton staff during a touchline row between Unai Emery and Marco Silva. ​Arsenal struggled to find a foothold in the game, with ​Ozil substituted with 15 minutes remaining after being unable to inspire a fightback from his side. As reported by ​The Sun, the playmaker found himself more heavily involved in the action off the pitch. ​Everton boss Silva engaged in a heated dispute with Arsenal's Emery on the touchline after the pair disagreed over a foul committed by the visitors on Dominic Calvert-Lewin, as Shkodran Mustafi floored the Toffees striker as he looked to break clear of the Gunners' defence. The defeat leaves Arsenal fourth, ahead of ​Chelsea only on goal difference, and a point behind bitter rivals ​Tottenham in third, meaning that the Gunners are still well-positioned to secure a top-four finish, but Emery's side must improve their away performances after Sunday's defeat.